I am in Dublin for two reasons: first, we finished leading a fun and deeply spiritual pilgrimage here and second, I am now conducting an apologetics conference here for four evenings at the Carmelite Church in downtown Dublin. 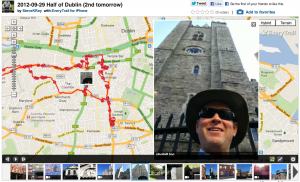 During the day I set out to hike throughout the city to see all the highlights, elegant churches and history. 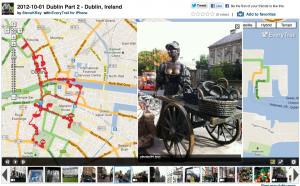 I miscalculated and could not do it all in one day so I split the walking tour into two days. The first day was over 7 miles and the second day was 6 miles.